Last week was awesome - I was working on some new crocheted stuff, started one knitting project and, the most important news, our family became bigger - in the 11th of April my husband's cousin had his little son, baby Leon in Manchester hospital. Now they are both home - mum Mary and her little baby, they feal fine and are getting to know each other better. 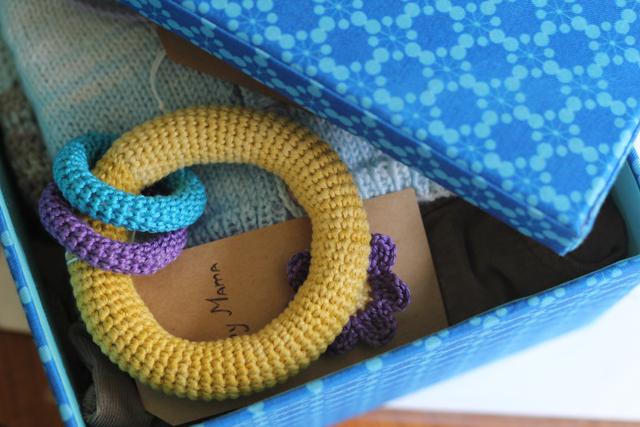 As in the last couple of months I was knitting and crocheting some little baby stuff for baby Leon, when he was finaly born I've collected all of it, put it into a beautiful box and posted to Manchester. 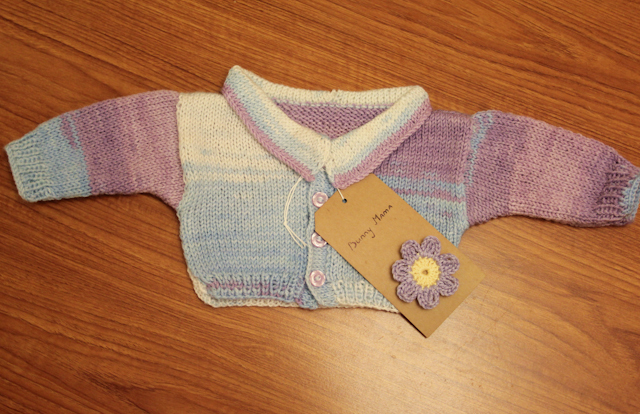 a newborn size baby cardigan. It's my own design, but I didn't write down the pattern. 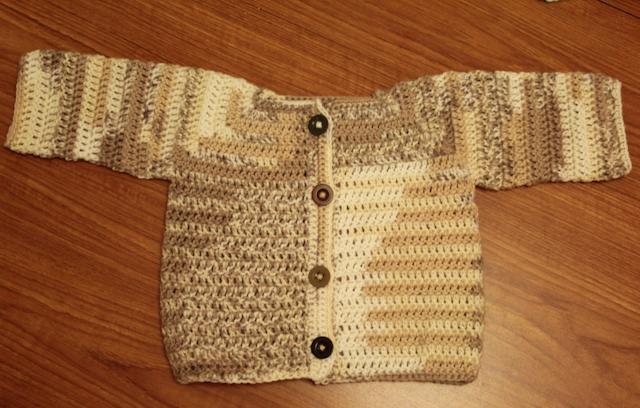 A crocheted baby cardigan for 3 months olds. I used the the pattern from Virkipa, you can find the pattern in this post. 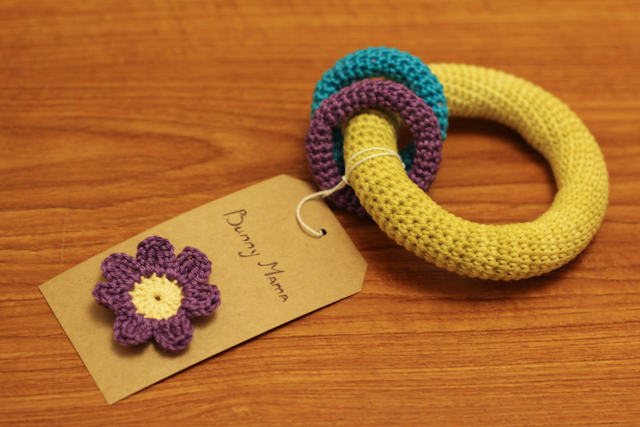 It is wonderfully soft and I used the buttons in four different colours so it would look more interesting. 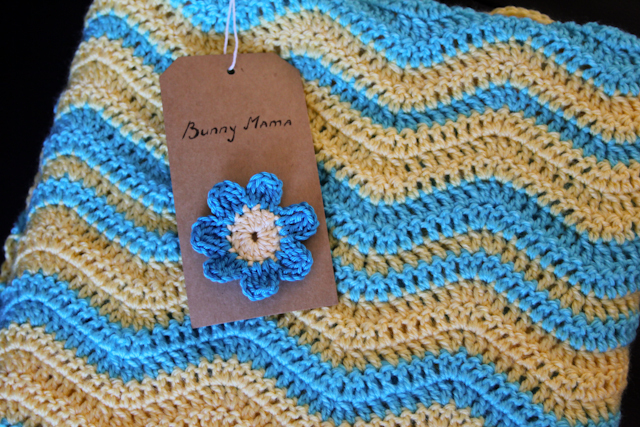 a baby blanket. You can find the pattern in a previous post. 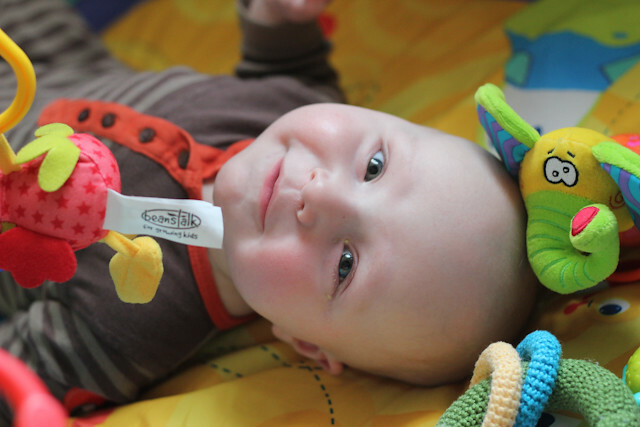 and a little 100% cotton baby rattle. The next day I had a phone call from Mary and she told she liked it all so much and it looked so sweet and lovely! That's great when someone really likes what you are doing, isn't it? I hope baby Leon will enjoy all of his gifts. Michael is such a smiley little man!